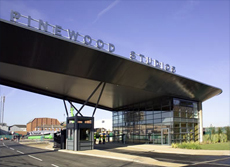 Pinewood Studios provides world class facilities for major national and international film, sound and TV programme productions. 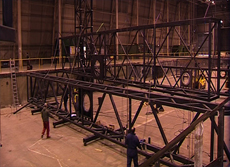 steel fabrication of scenery and props for productions such as Black Beauty, Secret Garden, Interview of a Vampire and a recent James Bond movie. I am pleased to give my recommendation to you for the work that has been undertaken by Keith Huggins at Pinewood Studios. Keith has been involved with the majority of the metal fabrication work which has been required on-site during the past six years and I am happy to say that we have not had cause to be anything other than fully satisfied with his work. Return to case studies page.